The architect Giovanni Michelucci, whose major legacies include the Santa Maria Novella railway station in Florence, died on this day in 1990 in his studio just outside the Tuscan city at Fiesole. Considered by many to be the 'father' of modern Italian architecture, he was only two days away from his 100th birthday. He was still working and is said to have been inspecting progress on his latest project when he slipped and fell, later suffering a cardiac arrest. 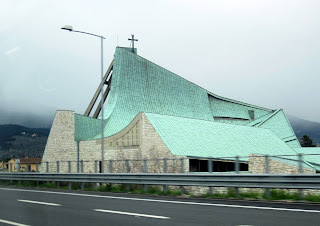 Michelucci, who was born in Pistoia on January 2, 1891, is also remembered for the brilliantly unconventional church of San Giovanni Battista, with its tent-like curved roof, which forms part of a rest area on the Autostrada del Sole as it passes Florence. The Santa Maria Novella station project for which he first won acclaim came after a collective of young architects known as the Tuscan Group, co-ordinated by Michelucci, beat more than 100 other entries in a national competition in the early 1930s to built a new station behind the church of the same name. The linear design was loathed by conservatives but loved by modernists, although it could not be said to conform to the style identifiable as Fascist architecture in Italy at the time, which had echoes of classical Roman design, albeit without ornate decoration. It met with the approval of Fascist leader Mussolini, nonetheless, who approved the design, and it came to be regarded subsequently as a masterpiece of rationalist architecture. The stone of its exterior blended with the historic colours of Florence, yet a spacious entrance hall and gallery with a thermolux and steel roof made it functional and modern. The station was built between 1932 and 1935, almost 30 years before Michelucci's second landmark work, which he undertook at the age of 73 after the highways authority commissioned him to design a church that would both honour the memory of those who died in the construction of the motorway and provide a 'parish for tourists', where travellers could break their journeys to worship. The church, in concrete and stone, is built around a traditional 'cross' floor plan with tent-like vertical elements, rising to a height of 27.5 metres (90 feet), giving it a modern feel. The roof is of copper, oxidised to a blue-green colour on the outside and burnished blond on the inside, with marble, glass and bronze used for other interior features. Michelucci came from a family which owned a craft iron workshop, which gave him his introduction to design. He graduated from the Higher Institute of Architecture at the Academy of Fine Arts of Florence before teaching at the Institute of Architecture of Florence, where he could later become Dean. During his military service in the First World War, he built his first architectural work, a chapel for soldiers on the eastern front in Casale Ladra, near Caporetto in what is now Slovenia. 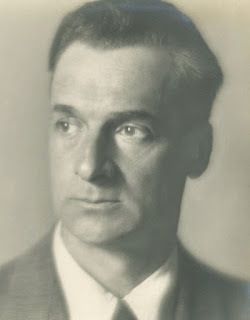 In the early 1920s, Michelucci taught in Rome, the city where he married the painter Eloisa Pacini. He returned to Florence in 1928. Other important works in Tuscany include a 1936 town plan for Pistoia, the classicist-style Palazzo del Governo in Arezzo the same year and the Borsa Merci in Pistoia (1950). In Florence, he designed an urban plan for the Sorgane neighbourhood of Florence in 1955) and the Cassa di Risparmio of Florence in 1957. The Inn of the Red Crawfish at the Pinocchio Park in Collodi (1963) is his, as is the skyscraper in Piazza Matteotti in Livorno (1966). His biggest disappointments were the rejection of his plans for reconstruction of the Ponte Vecchio area after the Second World War II and for restoring the buildings around Piazza Santa Croce after the 1966 flood. However, Michelucci did become involved with the reconstruction work necessitated by the Vajont Dam disaster in the mountains above Venice in 1963, in particular the village of Longarone, where he designed a memorial church. Always an architect who wanted his buildings to benefit the people who used them, in his later years he concentrated almost entirely on what might be deemed social projects, designing churches, schools, hospitals, and prisons. He also devoted time and energy to setting up the Michelucci Foundation to support research into urban planning and modern architecture and to promote his own values and ideals. 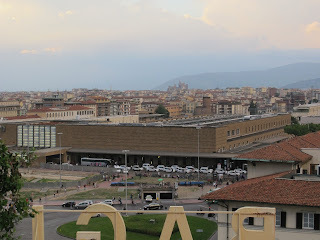 Florence's railway station was opened on February 3, 1848, to serve the railway lines to Pistoia and Pisa. 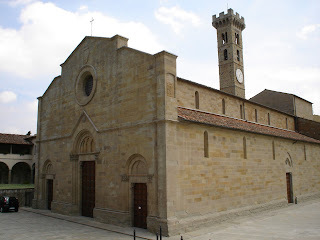 It was initially called Maria Antonia in honour of Princess Maria Antonia of the Two Sicilies but was renamed after the church of Santa Maria Novella after the unification of Italy. 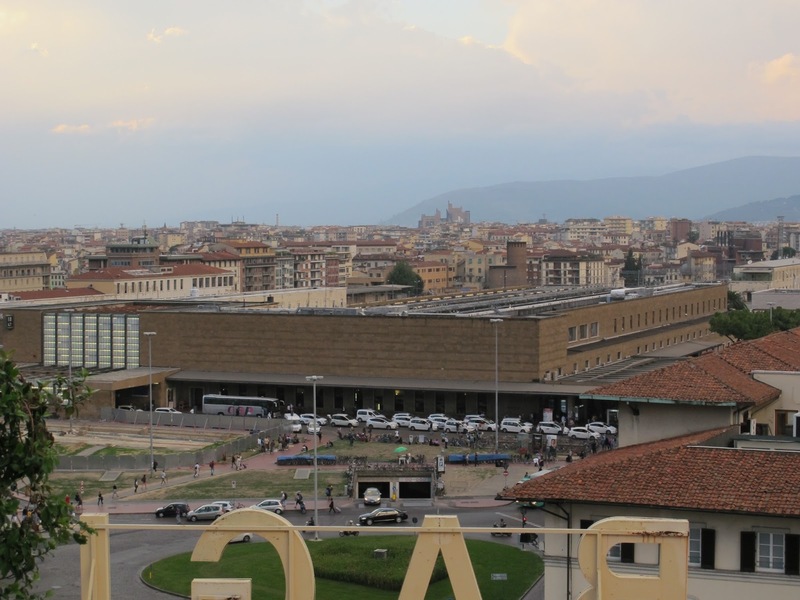 Nowadays, the station is used by 59 million people every year and is one of the busiest in Italy, with high speed lines to Rome and Bologna. Fiesole, situated in an elevated position about 8km (5 miles) north-east of Florence, has since the 14th century been a popular place to live for wealthy Florentines and even to this day remains the richest municipality in Florence. Formerly an important Etruscan settlement, it was also a Roman town of note, of which the remains of a theatre and baths are still visible. Fiesole's cathedral, built in the 11th century, is supposedly built over the site of the martyrdom of St. Romulus.